Organize your work area for maximum comfort and efficiency with C2G's enterprise PS/2 mouse and keyboard cables. The enterprise cable line is built with high-quality double shielded 26 AWG cable for dependable operation over extended distances. The male to female extension cable allows you to open up space between components by extending your mouse or keyboard cable. 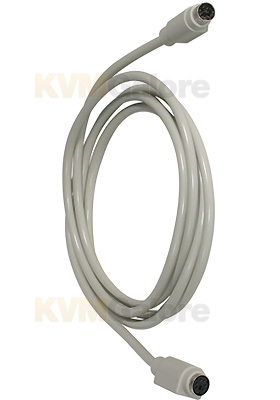 Each cable is fully molded to ensure excellent strain relief and a clean, professional appearance.